As goes for ground-turkey burrito recipes, so too for racewalk training. For a training plan to be successful, all the important ingredients need to be there. Sometimes you need more endurance, sometimes more speed; sometimes more economy workouts, sometimes more tempo workouts or rest. Leave out or substitute one minor ingredient and you’ll still have a pretty good burrito: Just as there’s no perfect turkey burrito recipe, there’s no one perfect recipe for a fast 5k (or 10k or ½ marathon…) But the major elements need to be in place: be it turkey and tortillas, or tempos and track intervals. The following is my recipe for a fast 5k. The key to success in the kitchen and on the track is the same: be creative. Find what mix works best for you. Adjust the workouts and rest, throw in a dash of technique work, stretching and strengthening, and with any luck you’ll be cooking on the track or roads in no time. 2-5 (or more?) recovery workouts. 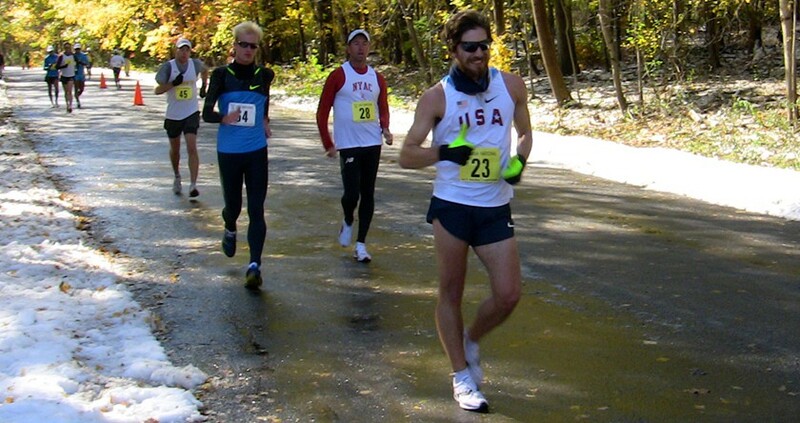 These could be easy 2- to 6-mile racewalking workouts or easy cross training. Ok, so that's the whole enchilada. Put on your shoes and get cookin'!